On Thursday, May 18, an incriminating audio recording surfaced containing the voice of current Brazilian president Michel Temer of the historically centrist, but recently turned right wing, Partido do Movimento Democrático Brasileiro (Brazilian Democratic Movement Party). In this recording, Temer can be heard engaging in discussions of bribery with former House speaker and fellow party member Eduardo Cunha, jailed in 2016 on corruption charges. The recording was acquired by billionaire corporate executive, Joesley Batista. Batista’s subsequent testimony, though lacking concrete evidence thus far, included accusations of bribery implicating 1829 candidates from 28 parties, including former Presidents Luís Inácio Lula da Silva and Dilma Rousseff of the Partido dos Trabalhadores (PT, Workers’ Party) (Carta Capital, 2017). 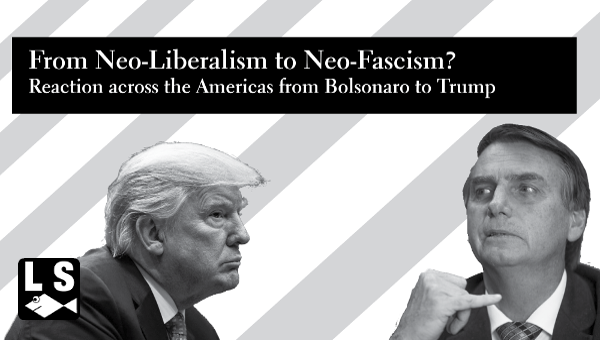 This is the latest in the Brazilian political saga following the impeachment of Dilma in 2016, an event best understood as a continuation in the regional tendency toward coup d’etat (Shipley, 2009; Gordon, Webber 2012). As a result of the audio tape, Temer has lost whatever minimal popular and institutional support he previously had, with almost all sectors of society, including the powerful right wing media, now calling for his resignation. Furthermore, Brazil’s top prosecutor has now opened an investigation against him on the charges of obstruction of justice, corruption and criminal organization. Lastly, the Brazilian bar association has made a formal demand of impeachment against the embattled President. This volatile political situation coincides with Brazil’s deepening economic recession, now featuring double digit unemployment, a shrinking GDP, and a flailing currency. For these reasons, it is safe to say that Temer’s days in office are numbered. 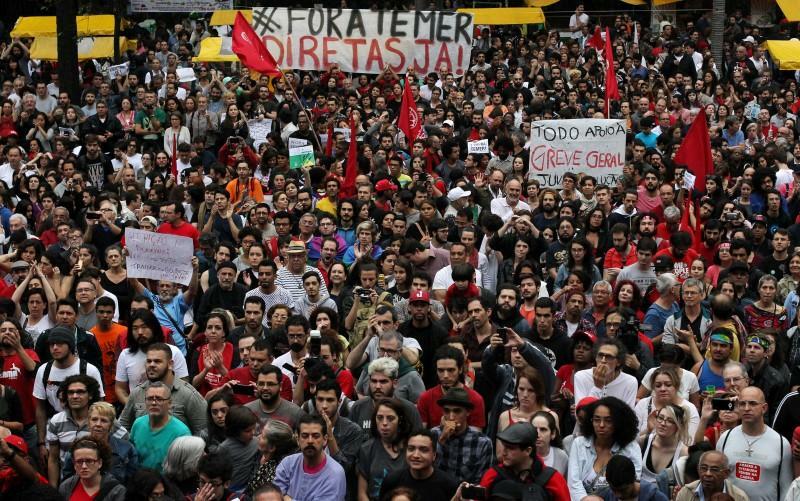 Responding to the fragility of the Temer government, on May 19, the left organized sizable protests throughout the country, bringing together a wide range of progressive organizations and social movements under the banners of “Fora Temer” (Temer Out) and “Diretas Já” (Direct Elections Now). These mobilizations took place three weeks after a successful general strike organized by the Central Única dos Trabalhadores (CUT), Brazil’s most important labour federation. The strike was aimed at stopping the radical neoliberal reforms to labour rights (PL 6787) and social security (PEC 287) proposed by the Temer government. The latest mobilizations took place throughout the country on May 24, with the country’s capital city, Brasilia, serving as their epicenter. On this day, 200,000 people gathered in front of the Presidential Palace reiterating the movement’s central demand of direct elections. Following violent exchanges between police and protestors, including vandalising of public buildings, Temer exponentially escalated the conflict by calling in the armed forces via a Presidential decree last used in 1986. The decree immediately triggered a brawl in Congress, including exchanging accusations between Temer and many of his supporters. Nevertheless, 1500 soldiers were deployed including 200 snipers. The decree was set to remain in effect until May 31. However, due to mounting pressure, Temer revoked the decree less than 24 hours after it was invoked. Given this political climate, the possibility of a new election in the coming weeks, either as a result of Temer’s resignation or impeachment, is growing fast. Constitutionally, this election would have to be indirect, meaning a new president would be elected by the National Congress. Although, a direct election by the electorate at large is also a possibility, this would require a constitutional amendment, implying a longer time frame of execution. In contrast to the left, the right would prefer indirect elections, as its current command of National Congress would allow it to essentially handpick Temer’s successor. However, the right does not yet have a clear candidate, and their dogmatic and, so far, unwavering commitment to a radical neoliberal program is facing growing contestation. Furthermore, with National Congress totally discredited as a result of the scope of Joesley Batista accusations, it is far from clear that indirect elections would have sufficient legitimacy. However, the left’s situation is no less difficult than the right’s. Although Lula, the PTs best and only viable candidate, remains highly popular and recent polls show he would win an election, it is far from clear he will survive the current legal proceedings against him that form part of the anti-corruption operation known as Lava Jato (Operation Car Wash). This is particularly true now that Lava Jato, a highly partisan and right wing affair, is acquiring a veneer of non-partisanship, as the mainstream media makes a dubious association between this investigation and the one related to the Temer bribery revelations (Watts, 2017). Furthermore, because Batista’s accusations also implicate Lula and Dilma, lack of evidence not withstanding, the PT’s credibility is likely to be further undermined in the court of public opinion. In short, although the PT does have a viable candidate in Lula, ongoing legal proceedings and the PT’s diminishing credibility stand as major barriers to his political come back. Given this, it would be naive to believe the PT would now suddenly be able to adopt the more radical posture the current moment demands. 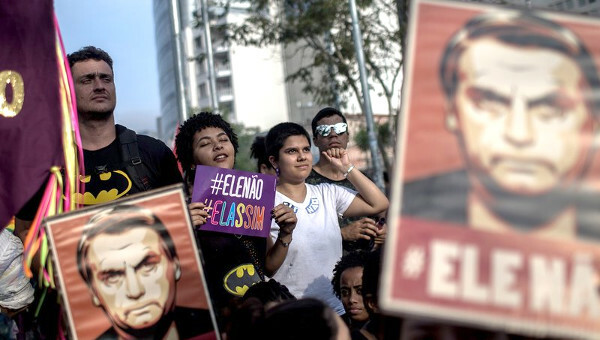 Finally, the left outside of the PT remains small, confused and fragmented, featuring a recent split in the Trotskyist Partido Socialista dos Trabalhadores Unificado, and rising tensions within the pluralist Partido Socialismo e Liberdade, in both cases related to each party’s support for the impeachment processes against Dilma. Hence, if there’s any hope for the left in this conjuncture, it is in the social movement left and the possibility of them combining the militancy and creativity of the uprisings witnessed in June 2013 (Larrabure, 2013) with the maturity of the current mobilizations against Temer and the coup. Key in this process will be the strengthening of solidarity between newer social movements, particularly the Movimento dos Trabalhadores Sem Teto (Homeless Workers Movement), and more established movements, such as the Movimento dos Trabalhadores Sem Terra (Landless Workers’ Movement) and organized labour. 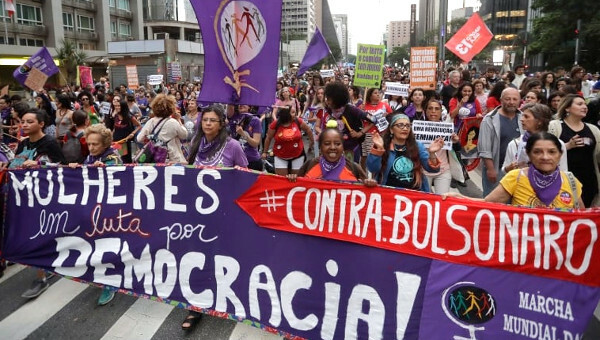 Also crucial is that these movements prioritize the development of new forms of democratic participation and leadership that can address one of the central political problems to surface in Brazil in recent years, namely a profound crisis of representation, manifesting as a deep mistrust of all elite political parties (Larrabure, 2016). However, the development of new democratic capacities will inevitably be a slow process that, at best, will take years to unfold. Given the weaknesses of both the left and right, what we are seeing in the current conjuncture is therefore a temporary political stalemate, as each side maneuvers in the context of a steady stream of scandals and deepening crisis. However, this is a situation the right wing is better capable of taking advantage of in the short and medium term, particularly given its control of the media. Unfortunately, what this means is that the neoliberal reforms proposed by the right wing, likely the most radical in the history of the country, will go forward, something that will have ripples across the region and will pose a direct threat to what remains of the ‘pink tide’. In other words, the stakes could hardly be higher. However, what remains unclear is who exactly will lead the passing of these reforms. What capital needs is someone with popular support, trusted and with the ability to demobilize the left. Someone of great political genius who can make neoliberal policies somewhat palatable to the working class. Someone good with words and charismatic, but perhaps also vulnerable and looking for personal revenge. Who would this person be? Your guess is as good as mine. Anderson, P. (2011). “Lula’s Brazil,” London Review of Books , 33(7), 3-12. Anderson, P. (2016). “Crisis in Brazil,” London Review of Books , 38(8), 15-22. Leiva, F. I. (2008). Latin American neostructuralism: the contradictions of post-neoliberal development, U of Minnesota Press. Carta Capital (2017). “O que diz a delação de Joesley Batista sobre Mantega, Lula e Dilma,” 19 May 2017. Larrabure, M. (2013). “‘Não Nos Representam!’ A Left Beyond the Workers Party?,” The Bullet , 18 July 2013. Larrabure, M. (2016). “The struggle for the new commons in the Brazilian free transit movement,” Studies in Political Economy , 97(2), 175-194. Lirio, S. (2017). “Guilherme Boulos: ‘A gravidade da crise não admite arranjos’,” Carta Capital , 21 May 2017. Shipley, T. (2009). “Honduras: The Coup That Never Happened,” The Bullet , 22 December 2009. Watts, J. (2017). “Brazil president Temer vows not to resign as court approves investigation, The Guardian , 19 May 2017. Webber, J. and Gordon, T. (2012). “Paraguay’s Parliamentary Coup and Ottawa’s Imperial Response,” The Bullet , 26 June 2012. 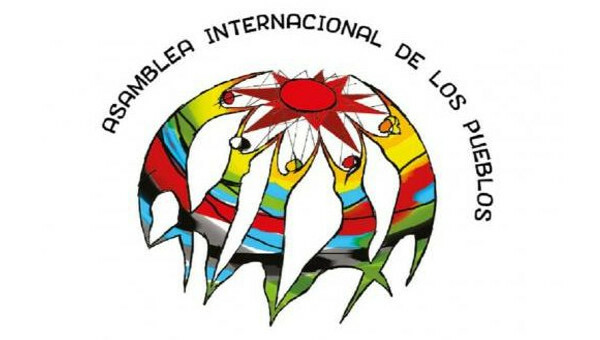 Manuel Larrabure is a SSHRC Postdoctoral Fellow at the University of California Santa Cruz. His research is on post-capitalism and social movements in 21st-century Latin America. His work has been published in a number of international journals, including Latin American Perspectives , Historical Materialism , and the Canadian Journal of Development Studies .